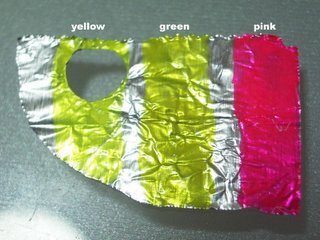 Being the experimenter that I am, I decided to try painting water based flourscent paints on an aluminium foil. If successful, it may be used to replace the eyes of most mecha to give them a more metallic look. [url=http://hairtyson.com]buy Phen375[/url] are tablets that resist slacken up on fuselage weight. Everybody of these tabs has to be enchanted with water, almost 20 minutes ahead of a repast, twice a day.